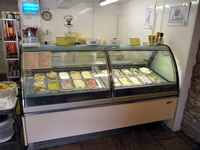 All deliciously creamy home-made ice cream – to be eaten on the day of your visit in a cone or taken away in a 1 litre tub and enjoyed at home. Festive Flavours include Christmas Pudding and Irish Cream. 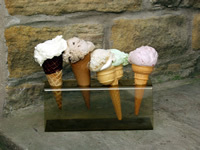 Don’t forget our ‛Flavour of the Month’ – come in and sample our current flavour!